Andrea Chiapella is exquisitely thin while still looking powerful. 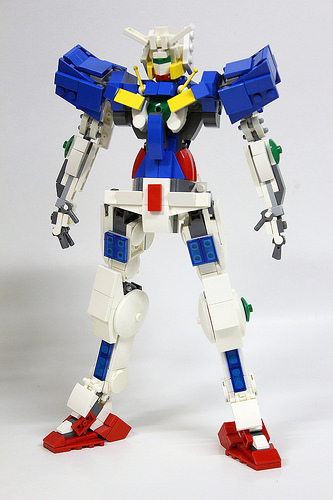 This particular build is based on the Gundam GN001 Exia which has some decidedly complex angles to pull off. I think you’ll agree that justice was more than done here. I hope we get a view of the back, as the Exia has an equally complex look there.